Memorial Day is a day in which we remember those who lost their lives in service to our country. However, in light of recent events, we feel that we should also honor and remember the 3 Boston Marathon victims, the 24 Oklahoma Tornado victims, and the 28 Newton school shooting victims, as well as everyone else who lost their lives due to a tragedy like these. With that in mind, Memorial Day in recent years has become more than simply honoring and remembering people who have perished. It has also become a day in which we gather with family and friends and celebrate that togetherness. But it is important to not lose sight of the true purpose of the day. 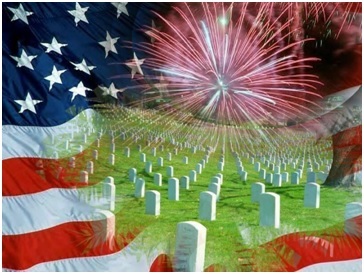 So, this Memorial Day, while you man the BBQ in your chef coats and cook for your friends and relatives, don’t forget to remember why we have this holiday in the first place: To honor the fallen.